it shows a reconstruction in detail of gladiatorial combat in classical times. 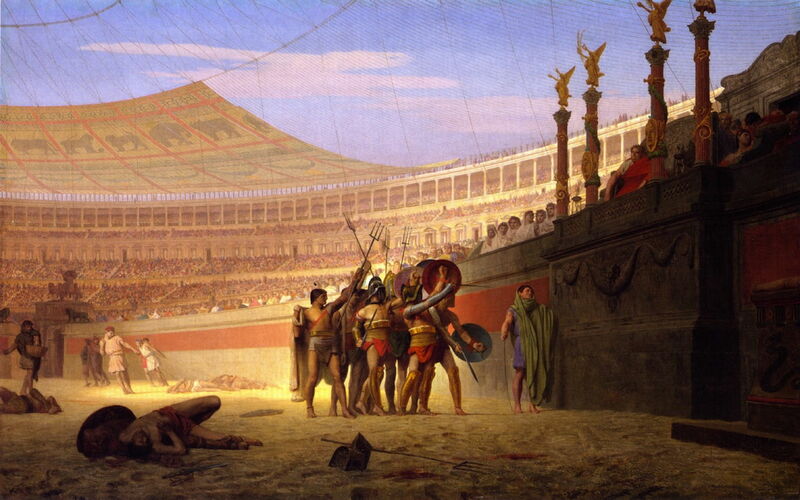 Jean-Léon Gérôme (1824–1904), Ave Caesar, Morituri Te Salutant (1859), oil on canvas, 92.5 x 145 cm, Yale University Art Gallery, New Haven, CT. The Athenaeum.